Global Revival Ministries (GRM) began after Rev. Dr. Ampiah Kwofi affectionately known as Papa, had a call to preach the Gospel of Christ to the nations of the world whilst he was studying at the university. He had a vision in which he saw the globe engulfed in flames of revival hence the name Global Revival Ministries. Global Revival Ministries was officially established on 5th October, 1984 in Accra by Papa and four other committed followers. 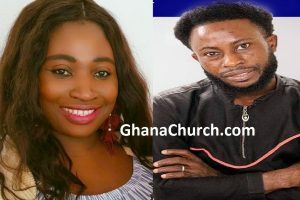 It was subsequently registered in Accra on 19th June under Companies Code 1963 (Act 179) .The first Service was held at Young Women’s Christian Association (YWCA) on Saturday between 10.00am – 2.00pm. The attendance grew and attracted notable Pastors like Eric Kwapong, George Abekah, Yaw Tekyie. Abednego Fiawo, Calys Tagoe, Kofi Arthue, and Sammy Kanda. In 1985, the Church relocated to the Rex Cinema and began Sunday services. Mid-week services were held at Legon Hall, Teaching service was held on Tuesdays and all-night prayer on Fridays. In 1991, GRM initiated a local training program for aspiring pastors. This led to the establishment of Global Revival Bible School and has since inception trained about 400 graduates serving in various churches across the nation. In 1997, the Church relocated to Baiden Powell Memorial Hall. The Church grew numerically at Baiden Powell and attracted thousands of people from all walks of life to the Friday All-night service. Ampiah Kwofi World Outreach was launched in 1998 to be the arm of the Church in reaching out to perishing souls. Since its inception, AKWO has held crusades in all regions of Ghana and other African Countries. On January 3, 2016, the Church moved its headquarters to Revival City Haatso, a 7000 capacity auditorium. GRM has over 50 branches across Ghana and thriving in Togo and Cote D’Ivoire. Discipling our converts to attain the full measure of the stature of Christ i.e. maturity. Discovering and developing the talents, skills, and abilities of our members and deploying them to advance the Kingdom of God. Developing new leaders that will preach, teach and bring healing to our hurting generation. To raise an army of Intercessors who will pray for nations and communities for revival. To raise all members to flow under the anointing of God’s Spirit , praises and honour to God, and also in the charismatic gifts of the Holy Spirit in ministry to one another. The Scriptures. Both Old and New Testament as the only infallible and authoritative word of God and the only rule for Christian faith and conduct. The Trinity. The three persons in one. God the Father, the Son and the Holy Spirit. The Deity of the Lord Jesus Christ, His virgin birth, His sinless life, His miracles, His Vicarious and atoning death, his bodily resurrection, His ascension to the right hand of the Father and his soon coming to rapture the church which is his bride and his return to the earth in power and glory to rule for eternity. The baptism of the Holy Spirit with the initial physical evidence of speaking in tongues (Acts 2:4) for all believers who ask for it. The operation and manifestation of all the gifts of the Holy Spirit as made available to the church today, for service, edification, and comfort. The resurrection of both the saved and the unsaved, the former to eternal life and the latter to eternal damnation.